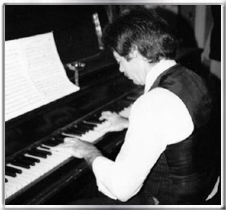 Born 1934 in Brooklyn, New York, American composer John William Burrows wrote for solo piano. Music and sports were of equal importance in his life. While he had the ability and interest to spend long hours at the piano as a youngster, he was equally drawn to stick ball and roller hockey on the streets of Brooklyn. His musical talent, thanks to the encouragement of his mother, also a pianist, led to his being a student organist at the age of ten at St. Ephrem's Grammar School. At the age of fourteen, his love of ice hockey in the PAL program took him to competition out of state. 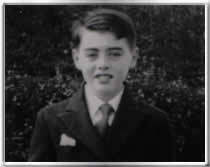 His Irish Catholic parents had hopes of his joining the priesthood and sent him to Cathedral High School, where he continued his musical studies. After graduation he took time off, applying his typing skills to a job. Within that year, he joined the army and was sent to Ulm, Germany, where he served as a Chaplain's Assistant. After serving in the army, he was accepted at the Crane School of Music, State University of New York, Potsdam. While in college, he continued playing ice hockey on the weekends, along with long hours of practice at the piano. With graduation came the Senior Recital Award and a Bachelor of Science in Music Education. After ten years of teaching music to children from elementary age through high school, he began his second career of playing piano in resorts, skiing, traveling and composing pieces at the piano. He also gave recitals of his works. 2012 update: John passed away in November from complications associated with BPH. The family of John Burrows thanks everyone for their thoughts and prayers.